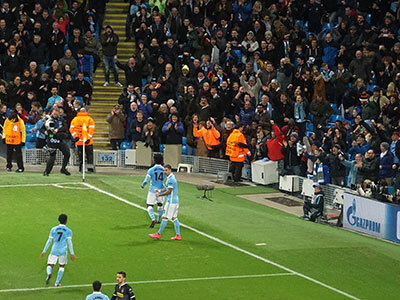 What a transformation after an average first half effort by City. 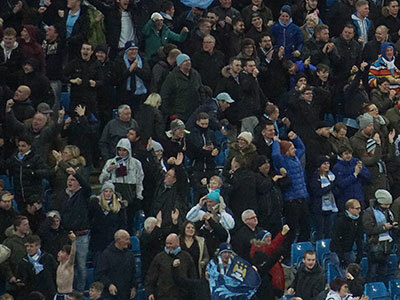 Following the terrible display at Stoke we were not expecting miracles but after being 2-1 down at half time and ending winning 4-2 and on top of the group with Juventus losing, surely this was an early xmas present for City fans. 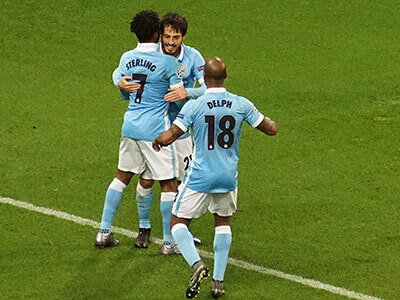 Two goals by birthday boy Sterling put City ahead before we had a Bony bonus late on. 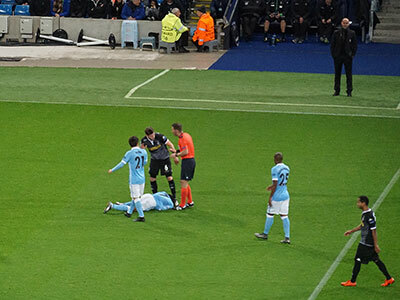 After Silva had put City ahead early on with a terrific goal from a narrow angle following good work by Sterling we had an immediate setback when poor marking gave the visitors a chance to equalize. 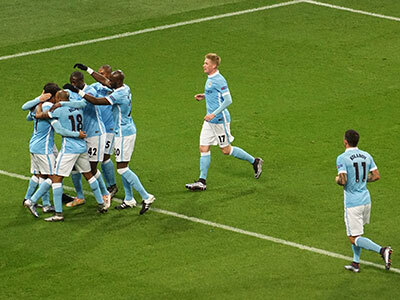 Then just before half time they went ahead and it looked like we were going to finish second in the group. 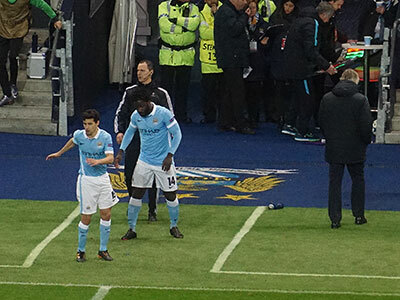 Then in the second half City started to play much better and dominated play. 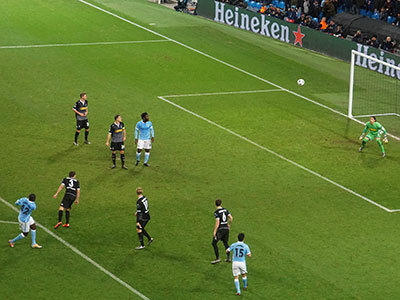 However we had to wait until the 78th minute for the vital equalizer by Sterling who put City ahead a minute later. 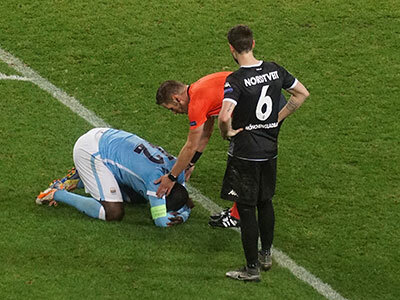 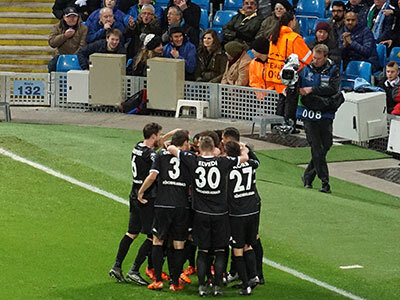 Four minutes later and substitute Bony added a fourth. 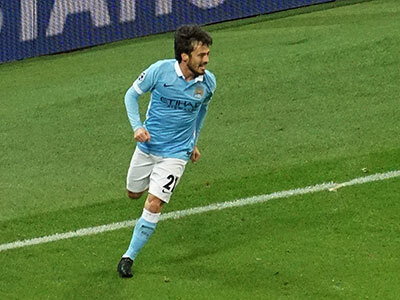 Silva had one of his best games and Yaya Toure too was back to form. 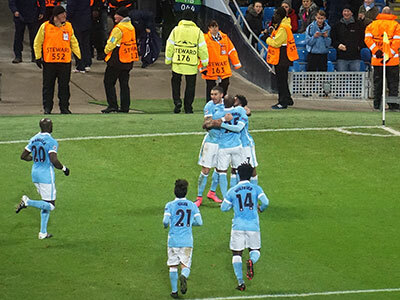 Can't say the same about the defence though and the sooner Kompany returns the better. 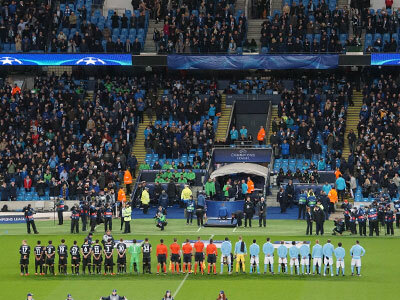 Not a full house for this vital game - shame! 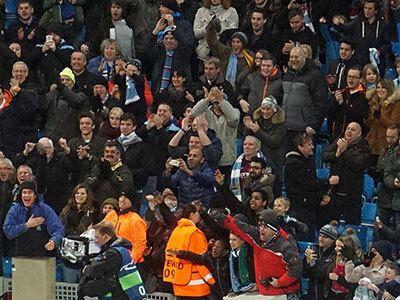 The visitors had a lot of support and they were very noisy! 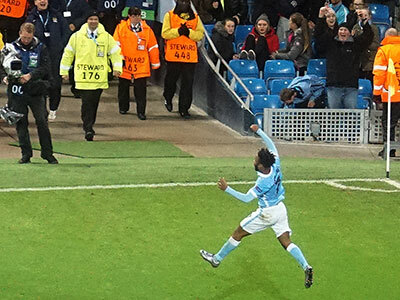 It was only his second of the season but what a cracking goal - more please! 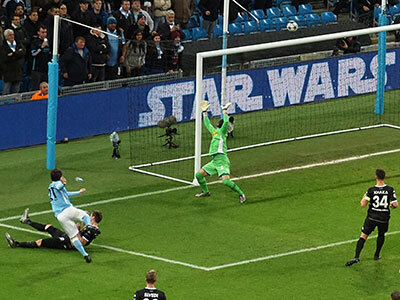 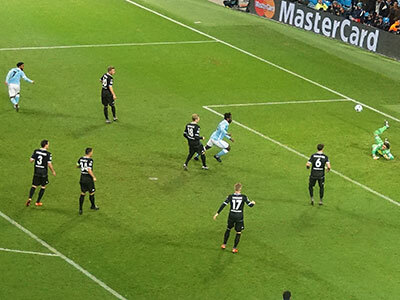 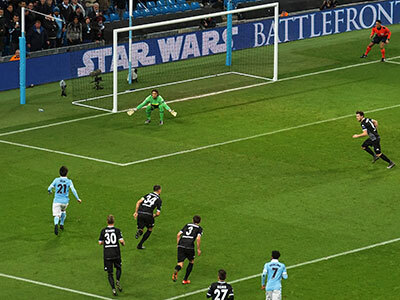 ...and Raffael shot past Joe Hart to give the visitors a half time lead - Oh dear! 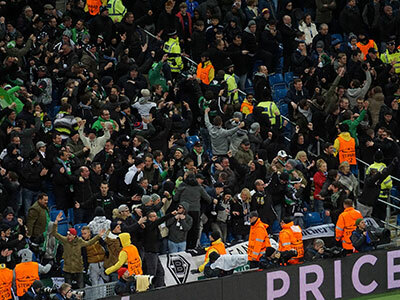 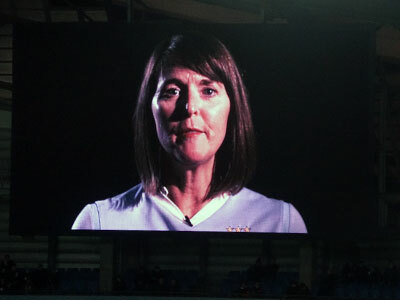 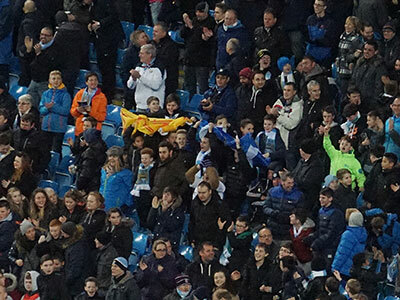 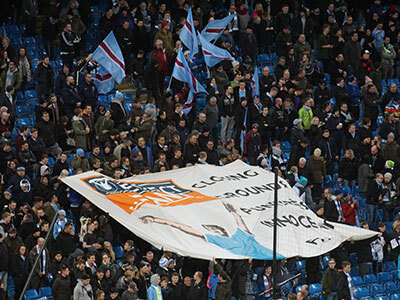 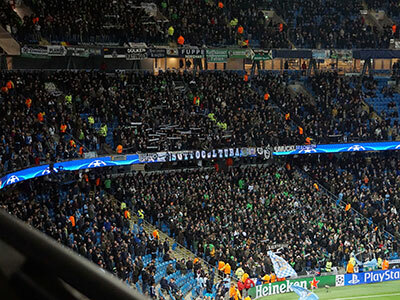 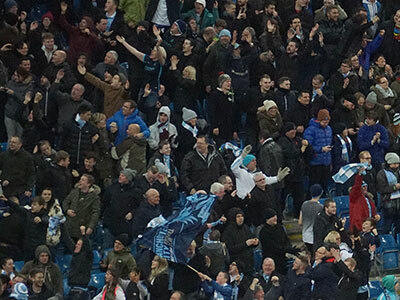 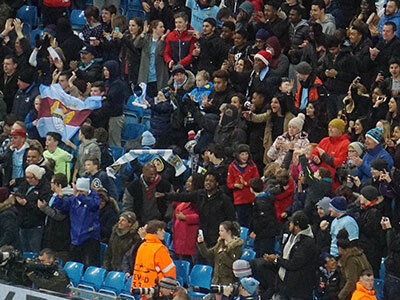 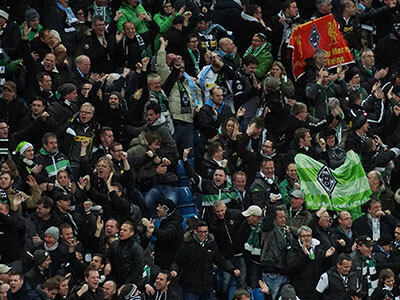 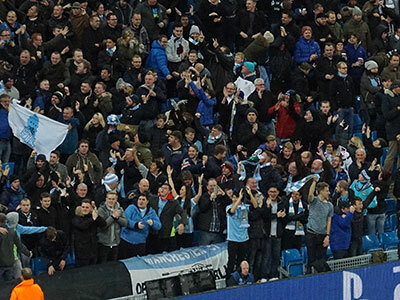 The City fans are overjoyed and ask the visiting fans why they are not singing any more!